This is our new version of the 0.96 OLED display. 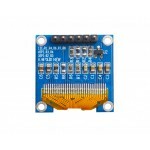 While the display is fractionally smaller, the price is also more economical, giving more bang for your buck. It is also now available in white as well as blue! 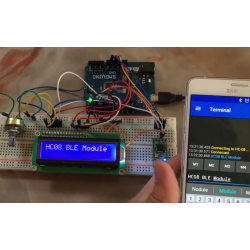 This is IIC communication port supported display. 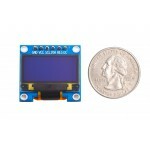 With 128x64 display, it can satisfy most of display requirements. Sorry, we got carried away, but compared to LCD displays OLED is indeed thinner and more efficient. 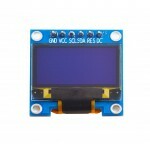 LCDs require backlight whereas OLEDs emit the light themselves with pixels, this particular one in 128 x 64 pixels to be precise. This allows a thinner build and results in a higher contrast. Can you feel the crispiness? 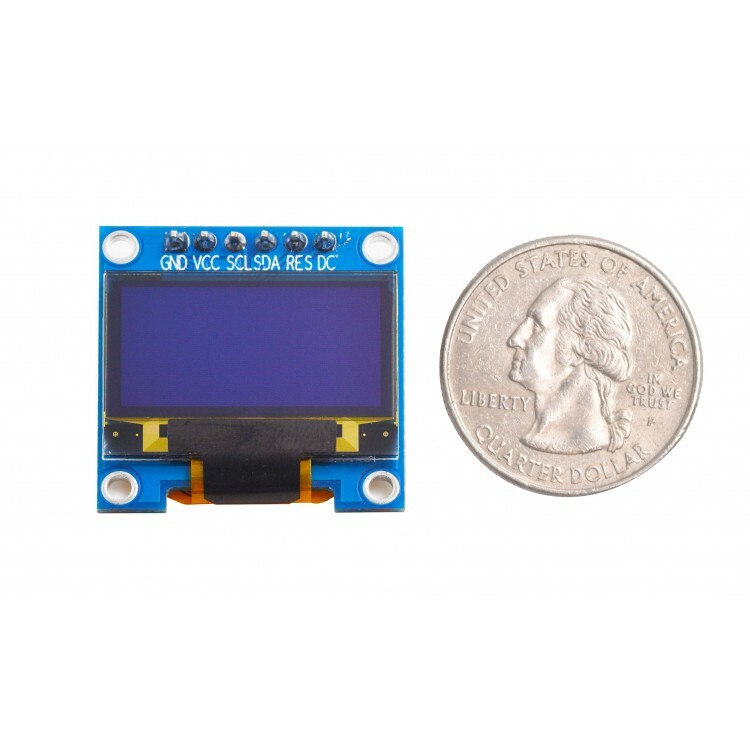 This 0.96-inch (1x1) inch display makes this one of our smaller versions; perfect for small projects, wearables, and other portables. You can view its crispy blue (or white) graphics from a wide, 160-degree angle range. And it has a low, low 0.06W power consumption in regular working conditions. Extreme temperatures are even no match for this module which can operate in -30 to 70 degree C temperatures. 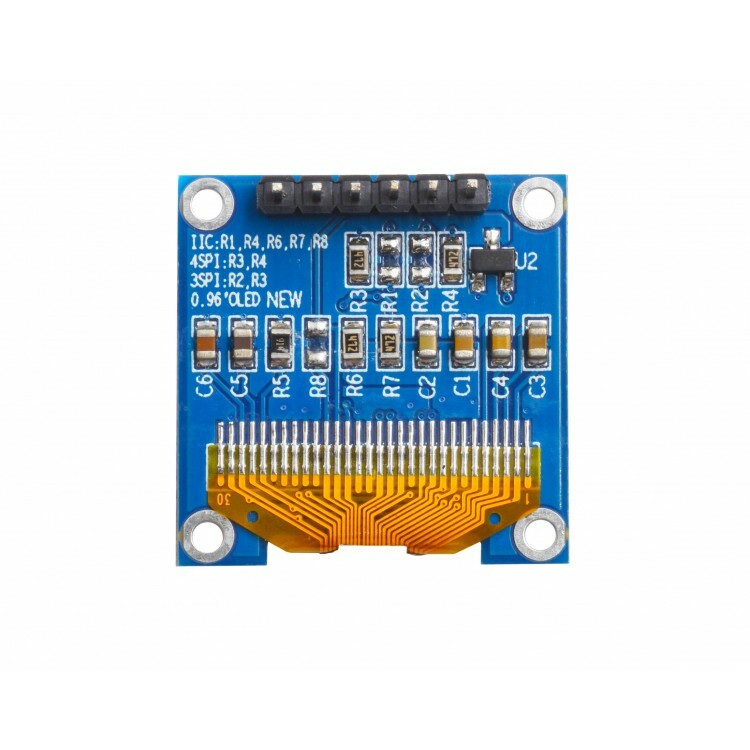 It's IIC communication port supported and you can find the pin map on the front of the pre-attached breakout board. 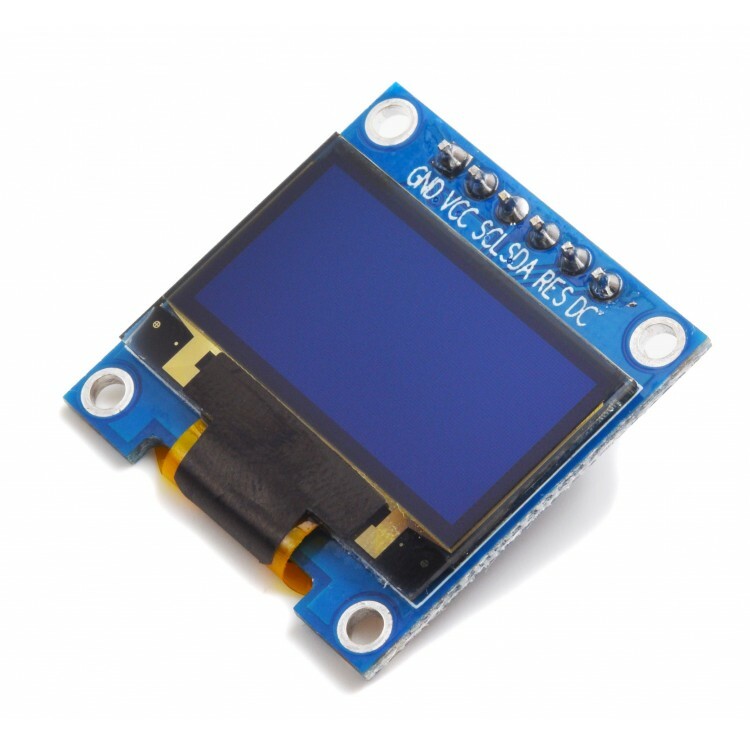 This is our NEW version of the 0.96" OLED display. While the display is fractionally smaller, the price is also more economical and it's now also available in white as well as blue!